Every July Island artists and crafts-people open their studios or homes or exhibit in public venues over 11 days. Visitors have the opportunity to meet local artists, see their work and find out more about the techniques they use and the passions which inspire them. Open Studios is a free event and will offer you a warm welcome to view and purchase a great range of work including painting, sculpture, print-making, photography, textiles, jewellery and ceramics. 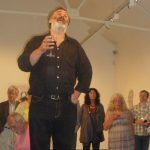 For artists, Open Studios is a unique opportunity to manage their own event, exhibit work and demonstrate their working processes and the studios are as varied as you can imagine. Some are in an artist’s home, work room or garden, others show their work in purpose made studios whilst more are in public venues. The beauty of visiting several studios is that each is unique, with its own charm – you’re sure to have a warm welcome and to come away feeling inspired. Look out for the special ’Open Studios’ guide book and when you see the red Open Studios flags, you know you’ve arrived. Some artists will display their work in groups at village halls or other local meeting spots. New for this year is The People’s Gallery, Union Street, Ryde where a number of well known artists will have their work on show. All venues are well worth a visit. As part of Quay Arts’ 40th anniversary celebrations this year the venue is hosting the largest ever Isle of Wight Arts Open Studios Showcase Exhibition in the West Gallery. Around half of all artists participating in IW Open Studios 2016 are exhibiting as part of the Showcase in the West Gallery, representing a wide range of mediums from across the entire Island. 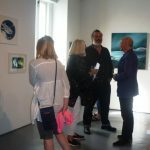 At the launch of the Showcase Exhibition the newly appointed manager of Quay Arts Paul Armfield welcomed artists and visitors. 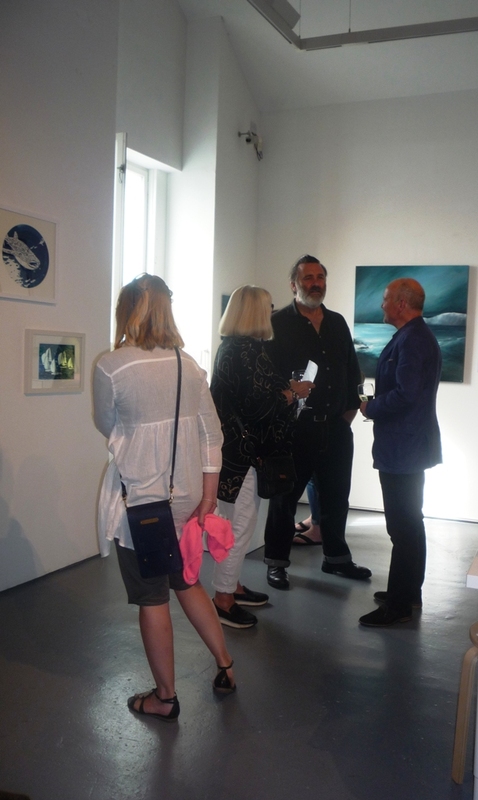 Paul said it was a great opportunity for the Island’s artistic community to work together and suggested that artists showcasing their work in their homes or community venues could make any visitors aware of Quay Arts and its galleries and other amenities. 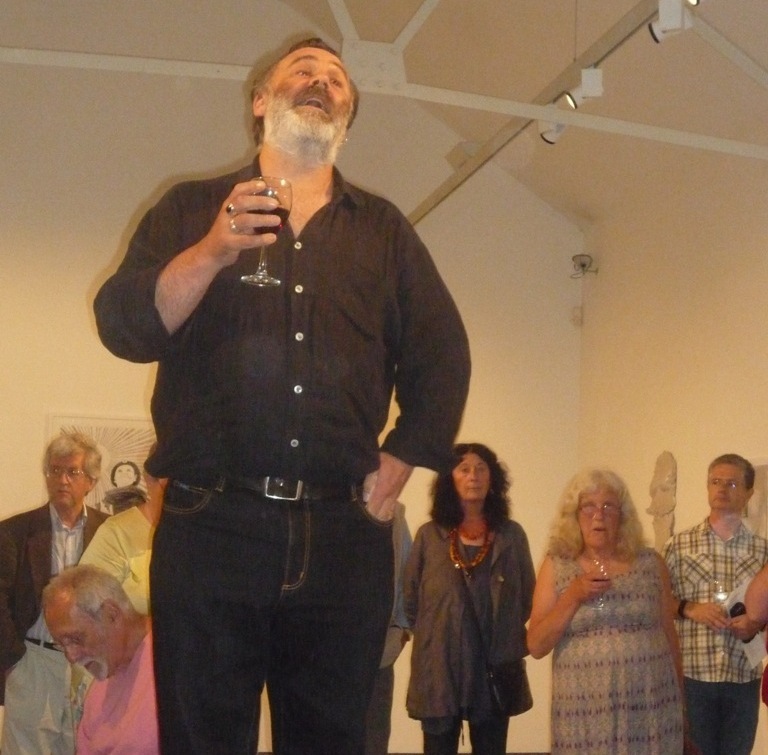 Quay Arts Showcase Exhibition is now showing in The West Gallery until the 25th July. Open Studios are at venues across the Island 15th July- 25th July. 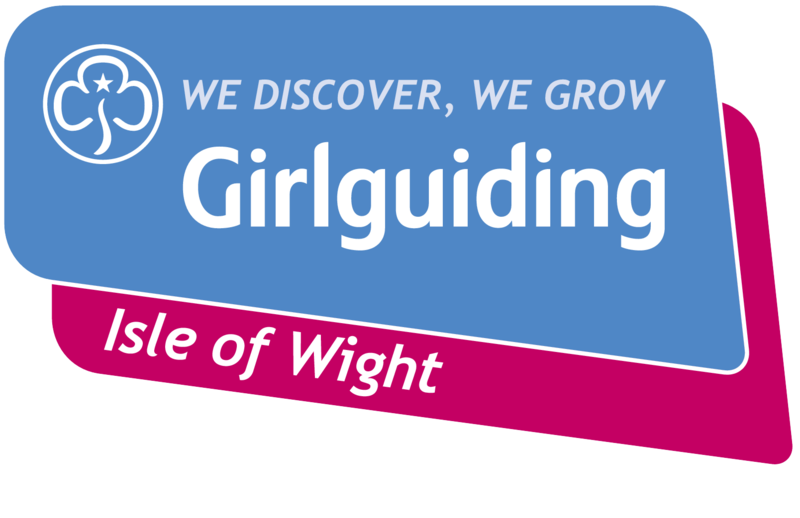 See booklet for opening days for individual venues.